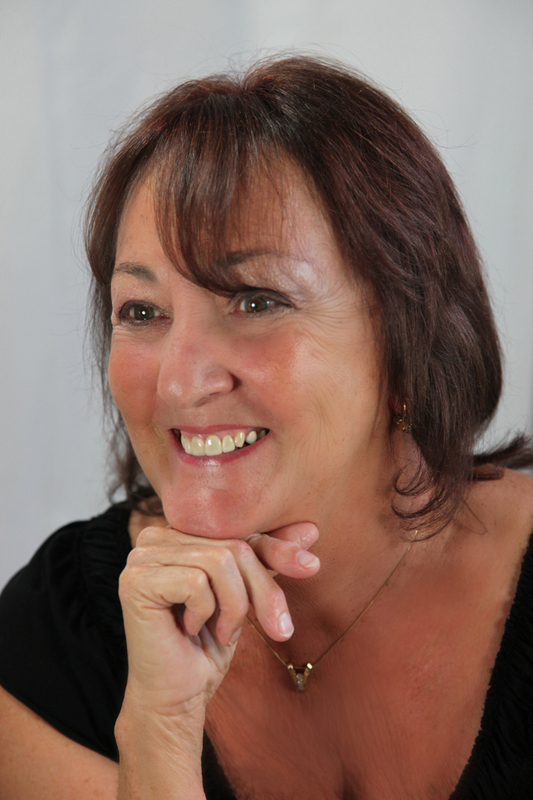 Jannette has been a licensed officiant and planner joining couples together since 1996. 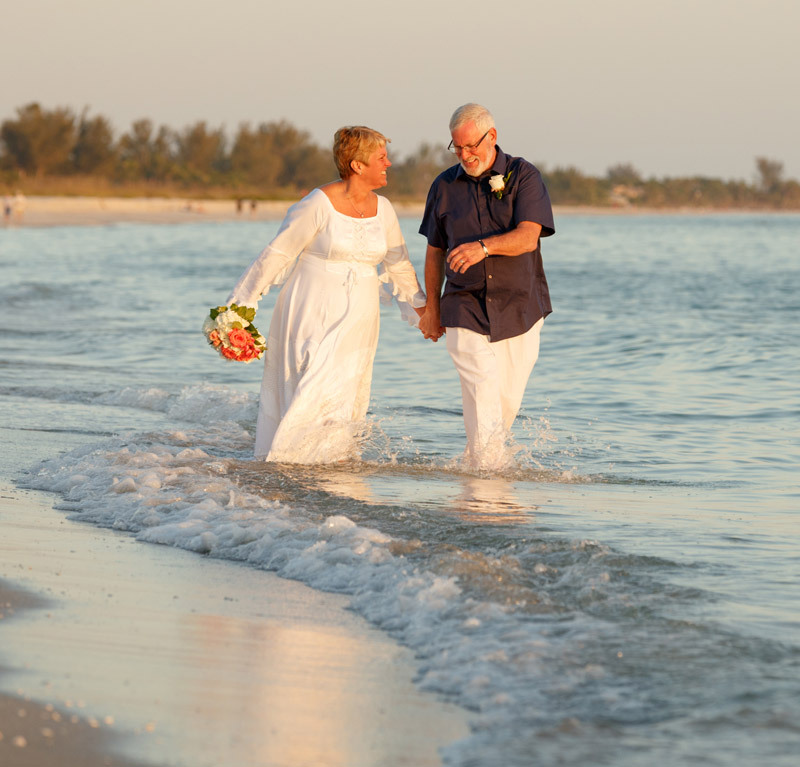 She is a member of the Sanibel/Captiva Chamber of Commerce, Treasurer of the Ft. Myers chapter of the NAWP (National Association of Wedding Planners) and a member of both the Elks and Eagles clubs. She is also a graduate of Indiana University. Jannette has extensive experience in conducting all types of weddings, civil, religious, secular as well as the new trends which helps guarantee a stress free and seamless ceremony. Our staff can also perform your ceremony in several languages if required. 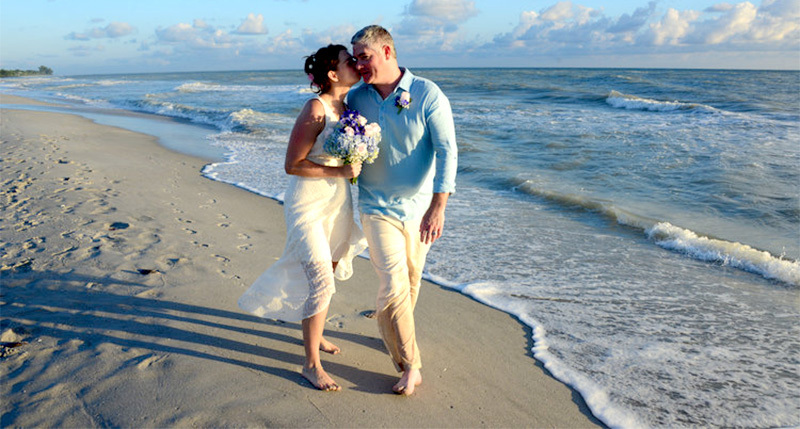 Florida Wedding Vows also specializes in destination weddings and vow renewal ceremonies. 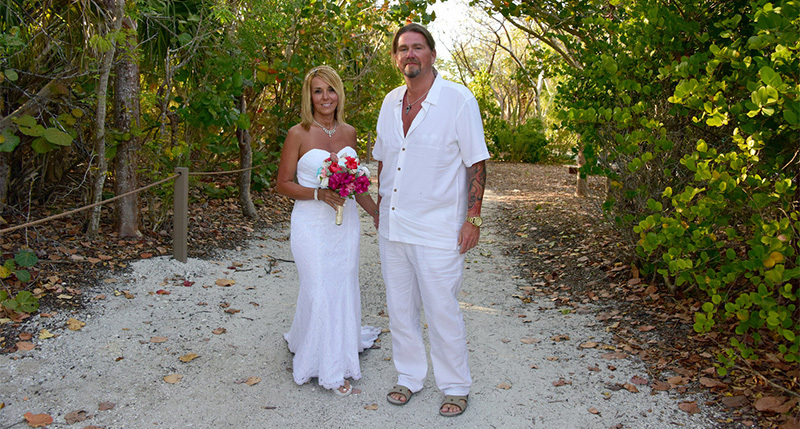 Every wedding or vow renewal is special and time is always taken to make sure your expectations are exceeded. 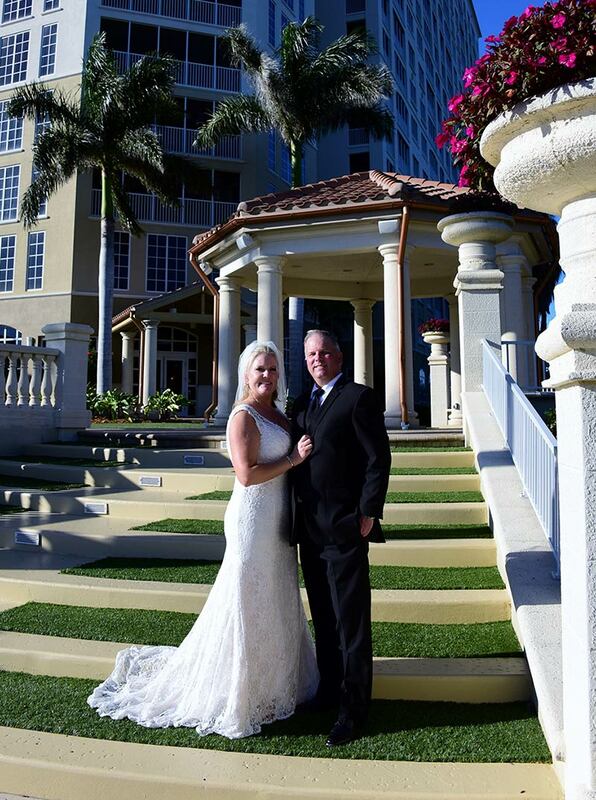 We use numerous vendors and work hard to make your dream day stress free. We are more than happy to share our years of experience and knowledge to make your day the absolute best. We also offer bilingual ceremonies. 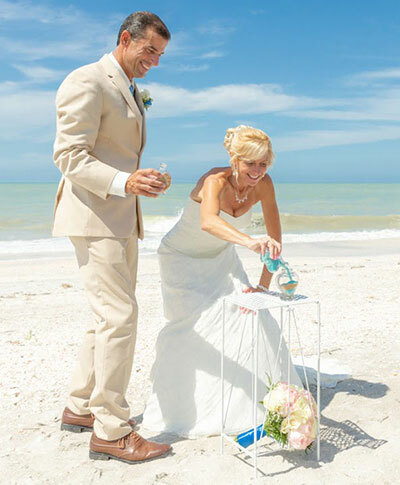 If you need the sea to surround you as you pledge your vows, the beautiful sands of the Gulf of Mexico await. We have magnificent sunsets or sunrises over our waters where you can sail away to recite your vows or feel the sand between your toes. To feel grounded, the earth can offer an abundance of fantastic locations. Historical homes, opulent resorts, beautiful country clubs and our wonderful parks are great options to recite your vows. Are you soaring? The air can unite you in the clouds. We live out of state and some friends of ours used Jannette three months prior to our wedding. They were very happy with her so we booked her too. As simple and casual as our ceremony was, she still made every effort to be as attentive to us and our needs as she would have a larger event. We felt very comfortable that everything would be taken care of. Janette was awesome!! She was so wonderful to work with and helped us to put together a dream sunset wedding from out of town. She provided us contacts to discuss flowers, cake and dinner reservations for our special day. She even worked with the restaurant to have them announce our betrothal and they gave us a special wedding dance too! I had so much fun at our sunset beach wedding and I know it’s in large part to what a wonderful job Janette did to make it perfect for us. I HIGHLY recommend Janette! Janette did a wonderful job from day 1. She helped answer any and all questions and as time passed and the day was closer she helped me with ideas for our vows and sent samples of previous weddings she’s officiated which really helped give me an idea on what I wanted / didn’t. The groom was feeling a little dizzy the rehearsal day so we last minute had it inside and even though it ran a little late Janette was patient and considerate. Great job and highly recommend you work with Janette! We would highly recommend meeting with Jannette personally prior to your special day and discussing your thoughts and desires with her as she has some great suggestions and ideas to make sure everything goes as planned. To bring it one step over the top, she even had her partner attend the reception and he graciously played his flute while we had our cake cutting ceremony. We couldn’t have asked for anything more perfect for our very private and intimate gathering. So, you're a human? What's the total?